Kilik was a very quiet, self centered man at the younger ages, finding his peace fabricating parts to build many strange gadgets and sometimes weapons. The most notable he would consider his rifle The Big Red One. A 7 foot, 25 mm single shot rifle that required a clamp near the end of the barrel to keep it stable. Throughout his endeavors of thennworld he came across, and fell in love with a bat named Vincient. While quirky and weird, he's come to appreciate her.. Different outlook on things. 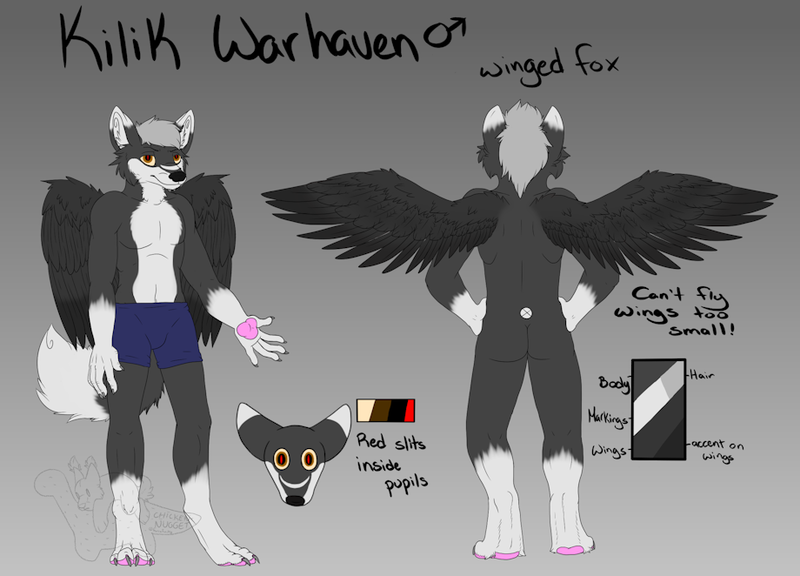 The reference sheet for the one, the only, Kilik Warhaven! A quiet, rather self centered boy who found love with Vincient.